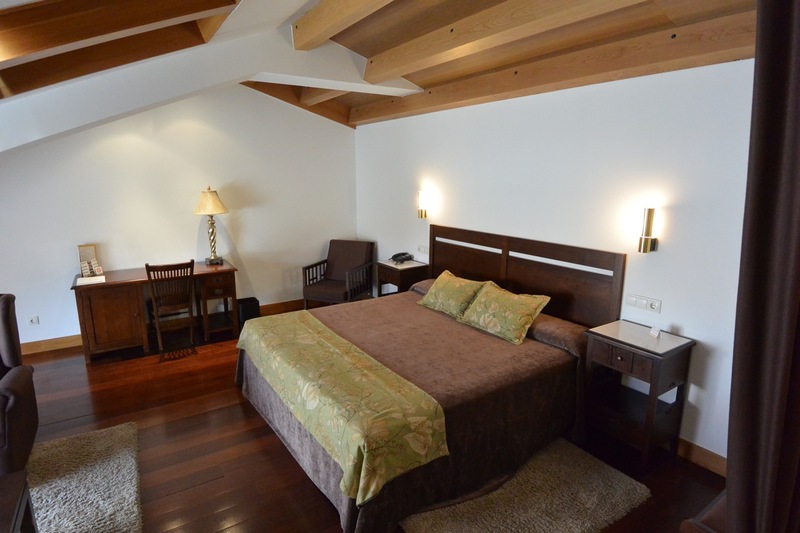 Room on the top floor at San Francisco Hotel Monumento, Santiago de Compostela, Spain. 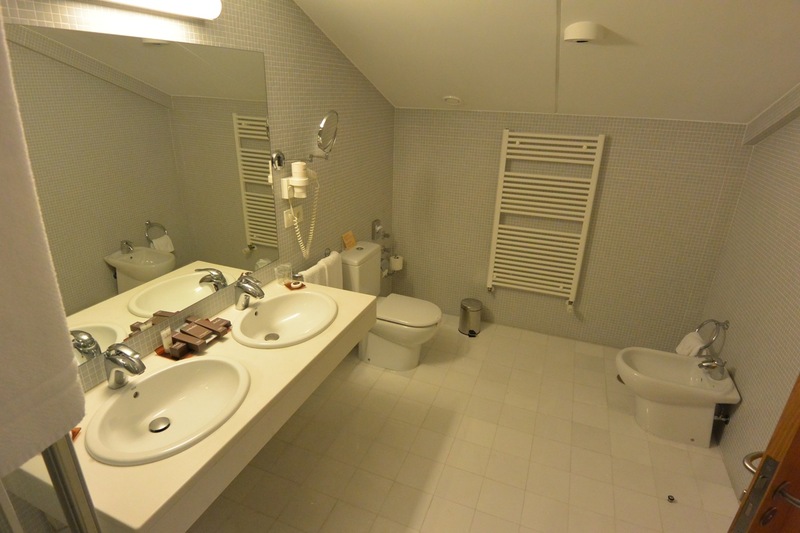 Bathroom at San Francisco Hotel Monumento, Santiago de Compostela, Spain. 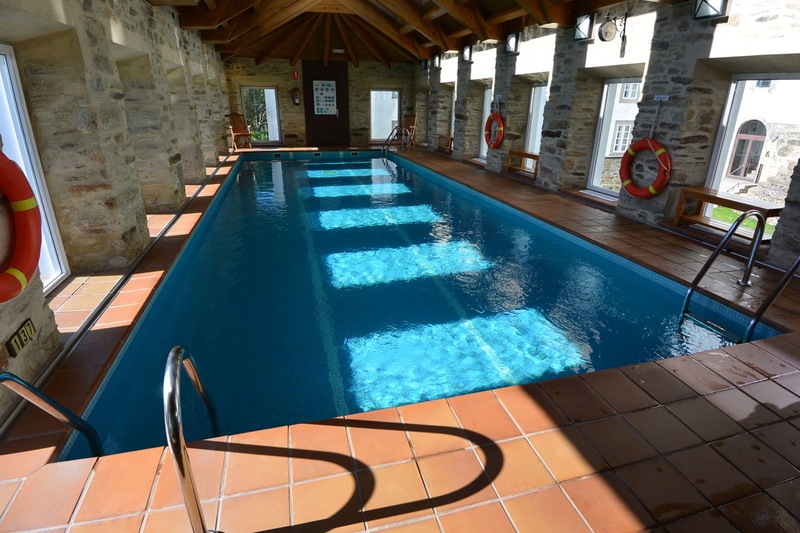 Swimming pool at at San Francisco Hotel Monumento, Santiago de Compostela, Spain. There’s also a hot tub just out of the frame in the photo above. That was a blessing after all day walking the streets of Santiago. I can recommend this hotel as a great base of operations. 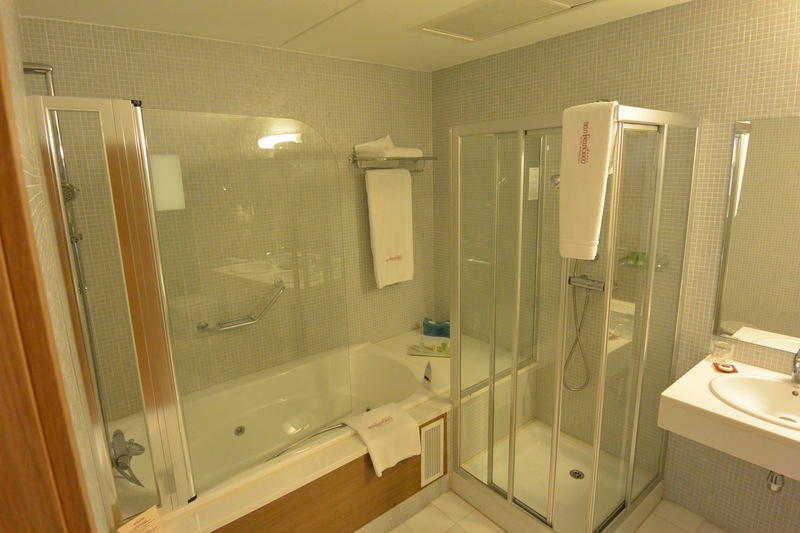 While we were there, we also noticed a number of business functions and weddings happening, so it may be that you need place for either of those purposes. Enjoy.